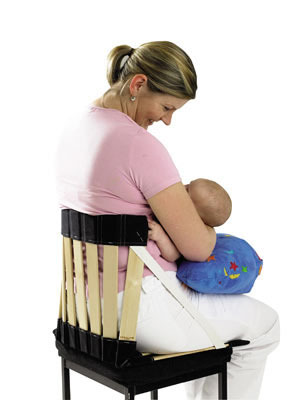 This unique ergonomic chair has been developed for situations when your back does not have appropriate support. 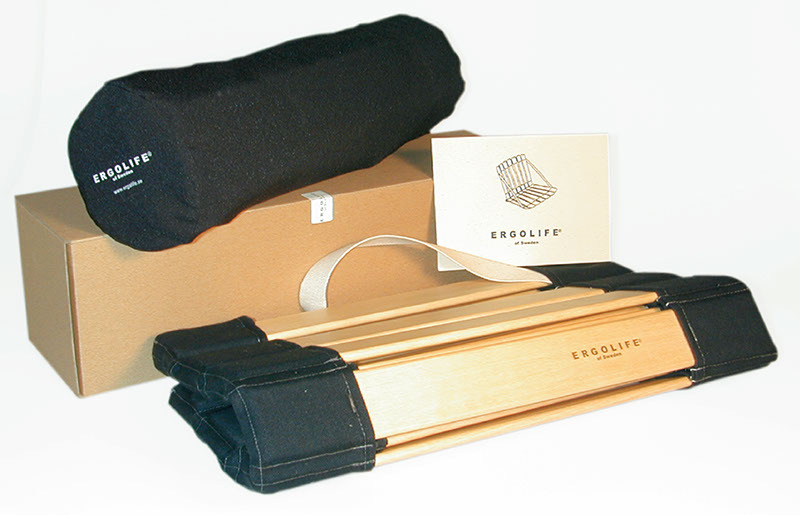 It is easy to use and gives you a comfortable portable seat wherever you go. 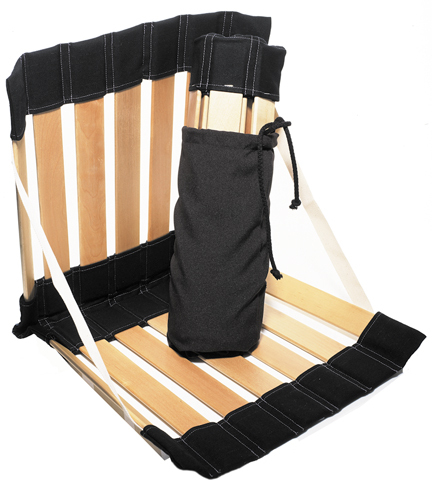 The ultra smooth slats, made out of natural birch wood, are specifically positioned to ensure lower and upper back support. 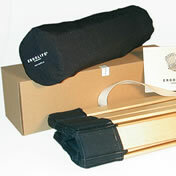 The chair can be used both on hard and soft surfaces and is as comfortable on a bench or a rock as it is on the ground. You can use your chair anywhere: at picnics, at outdoor concerts, on the boat, at golf and sporting events, or at outdoor theatre. Take it camping, star-gazing, bird-watching or to the beach. When you are ready to move on, just roll it up into its own drawstring canvas bag, a mere 10cm in diameter. Perfect to keep in the boot of the car, always to hand. 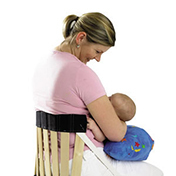 The Stol portable chair is also increasingly being used by pregnant and breastfeeding mothers who find that the back support provided by the chair is invaluable whilst pregnant, breastfeeding or merely holding a sleeping baby, at home, in the park or on the beach. Can be used both in the home and outdoors. The Stol comes elegantly boxed in a natural, Swedish understated fashion, which reflects the natural outdoor image of the product...the perfect, unique gift. 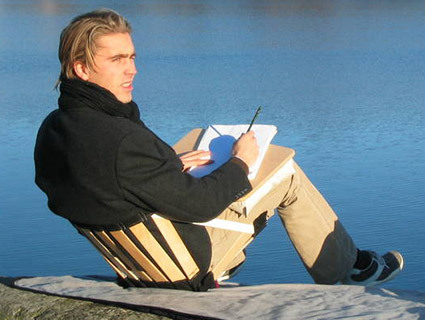 Truly portable chair - with exceptional lumbar support.